Over the summer, thousands rallied and marched in the streets to demand protection for Snowden. Likewise, there was a strong showing of support for fellow whistleblower Chelsea Manning, the U.S. Army solider who released restricted documents to the public. Motivated by her conscience, she was compelled to show evidence of war crimes, corruption, and abuse even if that meant breaking the law. While history is peppered with such stories of courage, changes in technology have spawned a new cohort of people engaging in illegal activity, not for money or on behalf of a foreign power or specific ideology, but for freedom of access to information. These individuals, taking action to do what they feel is morally right, have generated an outpouring of collective emotion: outrage at the government behavior that is being revealed and admiration for the individuals who are exposing it. The study of emotion in collective action is a topic taken up by Natalia Ruiz-Junco (2013) in a Sociology Compass article. She provides a review of the research on emotion in social movements, looking at how long-standing social movement fields of research on framing and political processes have contributed to emotion studies. This has resulted in a much-needed theoretical integration of these areas of study, she explains, as a corrective to the lack of attention social movement scholars have paid to the realm of emotions. Ruiz-Junco traces the application of emotion work, among other major emotion concepts, to social movement studies. Two types of emotion work she discusses are channeling (Gould 2009; Groves 1997; Jasper 1997; Reger 2004; Summers Effler 2010) and harnessing (Maney et al. 2009). 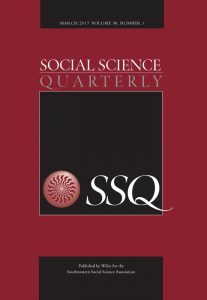 She summarizes emotional channeling as “the activity of reshaping certain emotions into other emotions that are more adequate for the social movement activity at hand; it can, therefore be a crucial factor in movement success (2013, 47).” Movements can channel fear, for example, into anger to spur collective action for concrete change alternatives. In her study of ACT-UP and the group’s fight against AIDS, Deborah Gould (2009) finds that activists were able to channel grief and despair into anger, but the cultural integration of despair eventually led to the movement’s undoing, rendering them unable to effectively fight the organized opposition. Scholars of emotion work ask: Are there ways to manage the emotions in some way to prevail with an optimism that has the potential to affect change? Ruiz-Junco notes some studies on successful forms of channeling in her review. She then introduces the concept of harnessing. The basic idea is that some movements have accepted that their opponent’s emotional framing has superior power but rather than trying to directly combat authoritative claims, the opposition embraces that discourse and transforms it to use it to their advantage. In the recent cases of government whistleblowers and the collective emotions they have provoked, how can these expressions of outrage sustain beyond or in addition to anger? Can organizers craft strategies to harness and divert the government’s spin, or successfully employ emotions to prolong that indignation and channel it toward sustainable opposition in some other form? If not, the danger is that a distrustful, jaded acceptance of government spying and abuse becomes normalized, and this shift in public sentiment makes it harder for organized opposition to use outrage as a mobilizing motivation. One of Ruiz-Junco’s conclusions is that more attention should be paid to the lesser-investigated emotions, such as courage and empathy. Snowden and Manning are praised by their supporters for their bravery and self-sacrifice. Collectively shared sentiments are spurring people to speak out in public forums and in some cases take to the streets in support of their actions. It seems the time is ripe for further inquiry into the role of emotions and social change. Gould, Deborah. 2009. Moving Politics: Emotion and ACT UP’s Fight Against AIDS. Chicago, IL: University of Chicago Press. Groves, Julian McAllister. 1997. Hearts and Minds: The Controversy over Laboratory Animals. Philadelphia, PA: Temple University Press. Jasper, James M. 1997. The Art of Moral Protest: Culture, Biography, and Creativity in Social Movements. Chicago: University of Chicago Press. Maney, Gregory M., Lynne M. Woehrle and Patrick G. Coy. 2009. “Ideological Consistency and Contextual Adaptation: U.S. Peace Movement Emotional Work Before and After 9/11.” American Behavioral Scientist 53: 114-132. Reger, Jo. 2004. “Organizational ‘Emotion Work’ Through Consciousness-Raising: An Analysis of a Feminist Organization.” Qualitative Sociology 27: 205-22. Ruiz-Junco, Natalia. 2013. 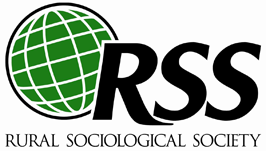 “Feeling Social Movements: Theoretical Contributions to Social Movement Research on Emotions.” Sociology Compass 7(1): 45-54. Summers Effler, Erika. 2010. Laughing Saints and Righteous Heroes. Emotional Rhythms in Social Movement Groups. Chicago, IL: University of Chicago Press. Sociology Lens & WIREs Debate: "Climate change knowledge and social movement theory"